★BOLUOYI Lighting String Lights is Extremely Decorating & Crafting Tools:U can decorate your bedroom without darkness,celebration party with your friend,kiss your lover in a romantic atmosphere and celebrate Christmas and New Year with your family. ★ Get Creative:You can mold the copper lights into any shape you can think of.Like a tree rattan,extend,twine,hidden in a red wine bottle,etc.DIY unique dinner party centerpiece;apply for your crafting project;making twinkling bonsai/plants arrangement.With IP67 waterproof but not include USB interface, you can easily carry and place it everywhere you like. ★ BOLUOYI Lighting Fairy Lights with Remote Control: Timer&Mode,You can set timer, the fire lights will be 6 hours on and 18 hours off every time you use this function without interruption. This function help you do a control automatically if you forget to turn off it.And you can adjust the brightness or switch to in wave/quential/slo glo/ flash/slow fade/ twinkle/steady. 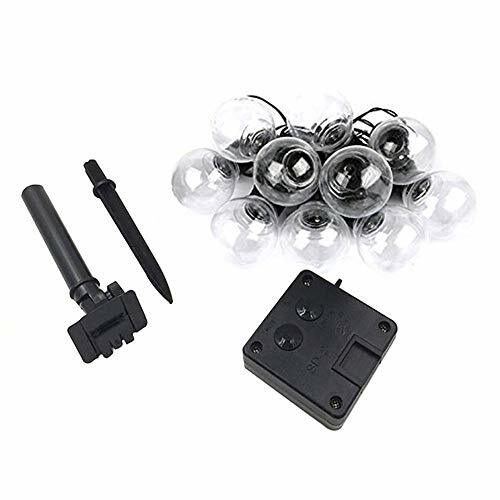 ★ Product ATTENTIONS & WARRANTY: Lifetime warranty and kind reliable customer support, feel free to contact us if you are not satisfied with the string lights. ★Perfect decoration: WATERPROOF(IP44) Perfect for indoor and outdoor decorations. Christmas,party,Valentine's Day, wedding, home, window, bathroom, festival, Holiday, shows, restaurant, hotel, commercial building, shopping center etc.